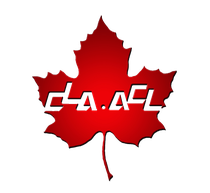 The Canadian Languages Association (CLA) is a national umbrella organization established in 1990 at national language education conference in Edmonton, Alberta. The CLA’s objective is to enhance the preservation, growth, teaching and promotion of international/heritage languages and cultures at the public school and community level across Canada. The CLA represents a wide range of provincial, regional and local community-based language and cultural organizations. It plays an essential role in networking, communications, sharing of best practices and is supported by community volunteers and parents. L’Association canadienne des langues (ACL), établie en 1994, est un corps national consacré à la conservation et la promotion de langues internationales/patrimoniales au Canada. L’ACL agit comme réseau entre les organisations de langues internationales/ patrimoniales à travers le Canada. L’Association canadienne des langues est engagée à travailler en collaboration avec toutes les associations de langues et les associations culturelles, les établissements d’enseignement, les départements gouvernementaux, les groupes en affaires, et les parties prenantes communautaires au niveau provincial ainsi que fédéral, afin de promouvoir la valeur. The unique CLA team is made up of dedicated and committed volunteers who are experts in the field of international / heritage language education. They bring a thorough understanding of the issues with a thoughtfulness and long-range vision that motivates others to become involved. The CLA is the vehicle which these individuals have committed their time and energy. Multiculturalism and multilingualism are the strength and heart of our Canadian society, and community-based languages education plays such an important role in intercultural understanding. Multiculturalism and multilingualism also promote peace, cooperation and respect for one another locally, nationally and internationally. Canada is admired around the world for its approach to multiculturalism. The CLA believes it is time for the Government of Canada to invest in this policy. Our goal is to continue to urge the federal government to return to sustainable and predictable funding for the development and promotion of linguistic and cultural learning in order to enable organizations like the Canadian Languages Association, provincial and regional language umbrella associations and community-based language schools. Sustainable financial support will help these organizations address important linguistic and cultural community needs on a planned and ongoing basis. CLA Role: Revisit and clearly articulate the CLA’s vision, mission, goals and operation Develop a new Action Plan and National Strategy for CLA. CLA Role: Provinces need to be attentive to language education and give it more priority as a building block for future Canadian society. Research (e.g. Cummins) has continuously indicated that languages contribute to personal growth, educational success and career enrichment whether the target language be new or of one’s heritage. CLA will act as lead advocate in this regard. 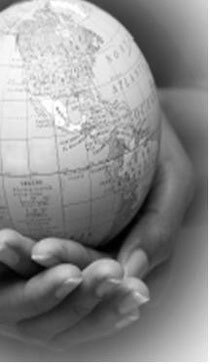 Issue: Promoting international language education at the national level. CLA Role: The CLA concerns itself with the survival, promotion and cross-sharing of international / heritage language programs across Canada. The CLA has also acted as a well-informed voice for the promotion of multilingualism at the federal level and informs the public and policy-makers of the benefits of multilingualism to all aspects of Canadian society. Issue: Communications Strategy: Connecting all of the independent organizations, bodies, etc. connected with international / heritage language education. CLA Role: The CLA is fortunate to have various provincial associations, district school boards and University-affiliated reps on our Board. The Canadian Languages Association is committed to working in cooperation with language and cultural associations, educational institutions, government departments and ministries, business groups, and community stakeholders at the local, provincial, and federal levels to promote the value of international/heritage languages education for all Canadians. To raise awareness of the value and benefits of language learning for all Canadians. To recognize Canada’s ethnocultural communities and their historical and ongoing contributions to language education. To promote the development of programs in international/heritage languages and other related areas for the creation of positive educational outcomes for learners. To strengthen communication and cooperation among providers and supporters of international/heritage languages organizations across Canada. To coordinate and participate in the sharing of information and resources pertinent to language education. To enable the teaching of international/heritage languages within educational systems. To enhance teaching skills and resource development for language classrooms. To support the efforts of educators in international/heritage languages programs.